A Wikipedia entry entitled DNA Codon Table states that the codons presented in the table are on the ‘sense strand of the DNA’. But what is the purpose of this, if the sense strand doesn’t code for anything? It stated that it is used a lot in computational biology, what exactly is the use of it in that field? The sense strand has the same sequence as the transcribed RNA. The antisense strand is read in the other direction. For a particular gene, the sense strand is the genetic code, the other strand is the complementary template used to transcribe the RNA from it. The resultant pre-mRNA molecule (before introns are spliced our) will be single-stranded in the 5’ to 3’ direction with exactly the same sequence as the coding sequence (except for U instead of T). As such, the sense strand is the coding sequence of a gene (as it corresponds directly to the transcribed RNA sequence). It is important to distinguish the direction of a DNA sequence. Genes can overlap in opposite directions. 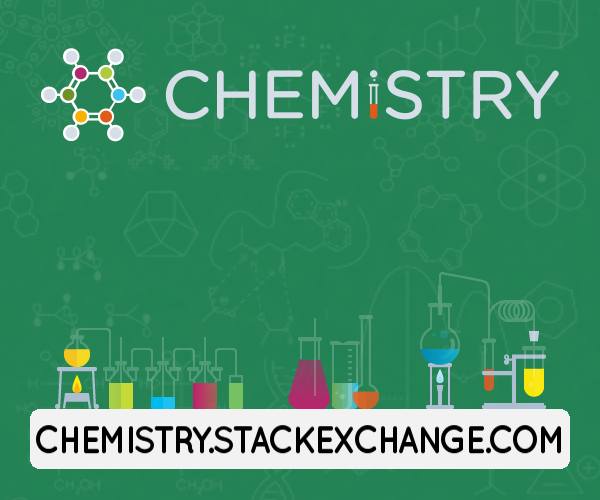 DNA and RNA molecules can only be synthesised by enzymes in one direction. This is important for DNA synthesis in vivo (e.g., Okazaki fragments) and molecular biology experiments in vitro (e.g., PCR and NGS). Antisense RNAs are also expressed and are important in regulating cellular functions: this includes enhancers which sometimes express bi-directional RNA and short RNAs involved in RNA interference, microRNA, and CRISPR-Cas). In molecular, cellular, and computational biology, the sense strand encodes the coding sequence (gene or other transcript). This is the sequence of any resulting RNA. Hence we define a codon as the nucleotide triplet that corresponds to a resulting amino acid. The antisense DNA strand and the tRNAs are complementary to this. Therefore there is an agreed upon convention to determine which strand is “coding” and it is straightforward to derive the resulting amino acid sequence of the encoded peptide given a coding sequence and a start codon (AUG). The antisense strand is the reverse compliment sequence which can also be computed. It is not necessary to store the sequence of both strands of a gene since the coding sequence can be used to infer the sequence of both strands. There have been several variants of questions of this type relating to the DNA strands in genes. In my opinion the reason that this is a common problem for students first encountering the topic is poor or ambiguous terminology. In science loose expression reflects and/or encourages loose thinking. This answer attempts not only to answer the question, but to encourage both the inexperienced and experienced to communicate with more clarity and less ambiguity. If the genetic code is related to any particular nucleic acid it is to mRNA. 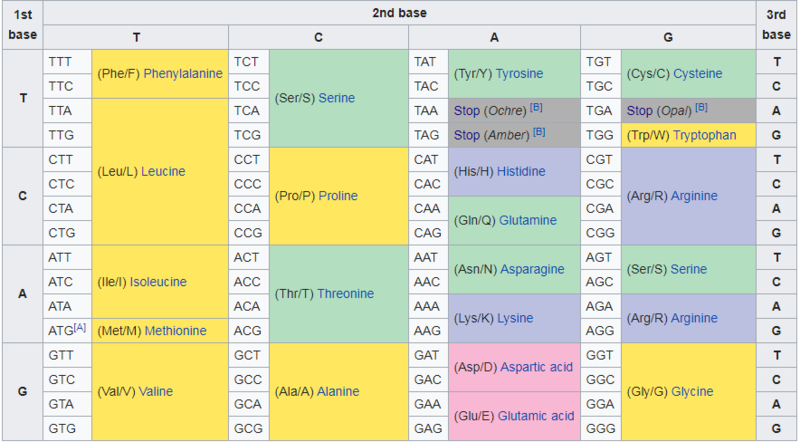 It is a table indicating which amino acids correspond to (are inserted in protein in response to) mRNA codons made up of triplets of the ribonucleotides corresponding to the bases, A, U, G and C. It does not include the DNA base thymidine. Another reason for not referring to the “DNA Code” is that genomic DNA contains encoded other information (e.g. transcription start sites) besides the sequence of amino acids. Only a single strand of the DNA was presented (in the 5ʹ to 3ʹ direction, as the convention for chemical abbreviation assumes). Where the DNA fragment contained a single gene, the strand presented was that which could be interpreted by the scientist as if he were reading a strand of mRNA, but with U replaced by T.
To aid such interpretation (or for human or computer analysis — the latter mentioned in the question — of both strands of DNA to identify potential protein-coding regions) tables of the type in the question are produced. They are perhaps best referred to as ‘DNA versions of the genetic code’ or the like. How to refer to the two DNA strands? The transcribed strand, and the non-transcribed strand. This relates to the actual event — transcription — that produces the mRNA. I would advise its use by those teaching and writing on the subject. Unfortunately the strand presented in sequences of genes retrieved from the databases, as described above, is the non-transcribed strand. Perhaps from a reluctance to give a word with negative connotations to something of semantic importance, this term is very rarely used and is never likely to be generally adopted. Instead the following are often employed for the non-transcribed strand — the name of the transcribed strand is given in parentheses. I have already discussed the problems with these terms in more detail in answer to a related question, where I explained why I discourage the use of any of these other than sense/anti-sense — the sense strand conveys the sense of information of the mRNA. Coding/non-coding causes confusion because the naïve student may well assume that the transcribed strand holds the genetic information and feel that the term ‘coding’ should apply to it. (In fact both strands hold the information, as the existence of single-stranded negative-strand (here the terminology is correct) viruses attests. A related problem has been the source of a question as to why CAAT boxes — recognized by RNA polymerase — are named for the non-transcribed strand. The answer is that having developed a convention to represent the strand of a gene that allows us to discern the protein product and the features of mRNA and mRNA precursor, the main concern of the scientist is to see the transcription features in relation to this, rather than to another strand, with A/T, G/C and 3ʹ/5ʹ mental conversions. As discussed in the answer to another question, the use of any description — even non-transcribed — with the unqualified noun strand is a problem because it suggests that the genome as a whole has one transcribed and one untranscribed strand, whereas almost always there are genes with both orientations, and hence transcribed from different strands. It is perhaps better, therefore, to refer to the strands of a gene, except in those cases (generally bacteria or viruses) where two genes overlap in opposite directions. But Biology is not Physics, and sometimes nomenclature has to be descriptive rather than definitive. Look at that first exon, which starts 5'-GGGCTTTGCCTGTCATT. Look at the DNA sequence in that region. It's the same. The template stand for this gene runs reverse, which makes the strand itself look just like the DNA sequence in the forward direction. Not the answer you're looking for? Browse other questions tagged genetics bioinformatics or ask your own question.